Smart home technology is a rapidly growing industry in America. Over the past few years, many new products have been released that make controlling a home as easy as clicking a button. Using apps on smartphones and tablets, people can control almost everything within their homes; turn lights on and off, monitor their thermostats, lock doors and windows, and control music, just to name a few possibilities. Beds are now controllable with an app. Crock pots can be controlled from work. While smart home tech is still a relatively new industry, it is safe to say that American homes will continue becoming more futuristic. One of the most recent areas smart home technology has expanded into is garages. Make your garage the talk of the block by using some of these amazing new technologies. Smart home tech has allowed people to monitor their home’s security for years now. Apps allow homeowners to lock and unlock doors from a distance, monitor video feed of their property, and report any suspected threats immediately to authorities. Now, your garage door can be high tech too. WiFi compatible garage door openers are available for sale, and are typically not much pricier than unconnected door openers. If your door opener does not need replacing yet, adapters allowing WiFi capabilities can be retrofitted to unconnected door openers. Once a wireless compatible opener is installed, your garage door can be controlled using an app on your tablet or smartphone. One click using the app will open and close your door, an extremely convenient solution to having to dig around your car for your garage door clicker. Smart home and garage apps can also replace your keys. Many apps can open doors to your home by simply holding your phone up to the lock. They can also remind you of any unlocked doors, and allow you to lock them from a distance. Popular garage door app MyQ will remind you if you forgot to close your garage door. A notice will alert you on your phone, and through the app you have the ability to close the door from a distance. Before the door closes, alerts will sound and lights will flash, providing safety to anyone at your home.Wireless openers also provide homeowners with status reports. The app allows users to see each time the garage door has opened and closed, a helpful tool for parents trying to keep track of their families. 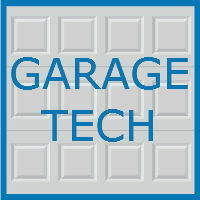 Developers are working on other useful features for garage door openers. MyQ will soon be able to track when you approach your driveway and automatically open the door for you. Other apps are working on syncing your garage activity with the rest of your home. Soon, your smart thermostat technology will be able to sync with your garage door, allowing the thermostat to heat or cool at more optimal times. Chamberlain, creator of the MyQ app, plans to release a garage door opener that is compatible with Apple HomeKit, a popular smart home app controllable with iPhones, iPads, and Apple Watches. Apple HomeKit users will be able to ask Siri to open or close their garage door and turn lights on or off in the garage. Bigger plans are also in the works for smart home technology. Developers plan to connect many different smart home devices, allowing your home to virtually function on its own. Garage doors will play a key role. By monitoring when the door opens and closes, app designers hope to track families patterns, and run things like the dishwasher at times when nobody is home. Developers face many challenges, and these ideas are still in the early stages, but it will be exciting to see what new tech is released in the future. If you would like to learn more about smart technology for your garage, contact a garage expert at Blue Sky Builders today. Call (630) 852-8485 to get started.